A Swiss-type lathe is not necessarily made in Switzerland. It is a type of turning center that was developed for the Swiss watch industry. 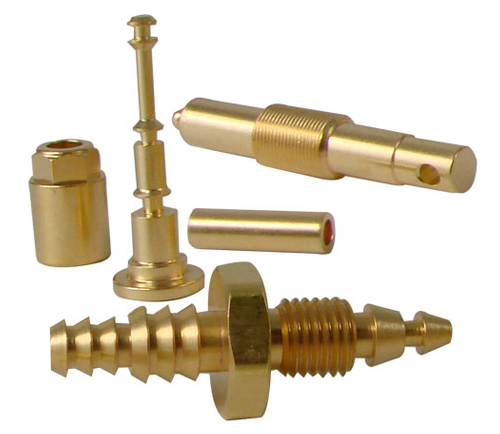 These machines are designed to turn small, complex, precision parts. Unlike conventional lathes where the part is stationary and the tool moves, a Multi Axis CNC Swiss-type turning center allows the part to move in the Z axis and the tool is stationary. The bar stock is held in the machine and advanced through a guide bushing. Only the portion being machined is exposed from the guide bushing, allowing the material to be held tightly, virtually eliminating deflection -- and increasing accuracy.